Representatives from small and big pharma, and those fighting both rare diseases and more prevalent ones, came together in San Diego recently for WIB-Southern California: The Growing Importance of Patient Advocacy in BioPharma. The event featured a lively discussion about patient advocacy in an effort to accelerate research and bring patients’ voices to the table. Chief among the topics covered were defining patient advocacy, explaining how it differs in practice between industry and patient advocacy organizations, describing when in a product’s life cycle it should be done, and how it should be executed in a compliant manner that ultimately serves patients’ best interests. Hosted at Retrophin in San Diego, the panel discussion was moderated by Jenna Swan, senior manager patient advocacy for Retrophin, and panelists included Kathy Machuzak, associate director patient advocacy at Retrophin; Patricia Wood, president, NBIA Disorders Association, Kathryn Croskrey, executive director and regional leader, Alzheimer’s Association; and Jimmy Jackson, senior vice president and chief policy officer for Biocom. One key theme that was repeated across the panel discussion and audience Q&A was that patient involvement is and should be happening earlier and earlier on in the drug development process. Speakers pointed to the 21st Century Cures Act and the implementation of FDA’s Benefit-Risk Framework, marking another important step of the FDA’s ongoing commitment to protecting and promoting public health, increasing transparency, and streamlining processes. The FDA is keenly interested not just in efficacy and safety, but in improvement in quality of life and ensuring that patients are truly at the center of everything we do as an industry. There was great dialogue about when the integration of patient advocacy should happen. The resounding consensus was as early in the drug development and clinical trial design process as possible, and certainly well before there may be a pricing struggle, where companies could be dealing with a patient activist instead of advocate. Another point highlighted by multiple speakers and punctuated by the audience members, many of whom were themselves caregivers, is the importance of including caregivers’ perspectives in clinical trial design and patient care. When asked to look to the future of advocacy relations, down the road 5 and 10 years from now, panelists agreed that the voice of the patient will only get stronger, and that the trend of advocacy groups banding together for a more united voice would be continuing, to help ensure that research dollars are distributed equitably and that patient needs are met across the board, regardless of disease state. Syneos Health’s policy and advocacy experts agree, and with our extensive knowledge of the legislative and regulatory environment, are adept at bridging the gap between patients and companies to find mutual solutions, and to support new and existing treatments that improve patient care. Nicole Beckstrand is an award winning communication professional with more than two decades of experience in chronic pain and addiction, infectious diseases, women’s health, regenerative medicine, oncology, cardiovascular, wound healing, and brain health. At Syneos Health Communications, Nicole provides strategic counsel to clients, supporting corporate communication, reputation management, product launches and milestones, data publication and presentations, and regulatory approvals. 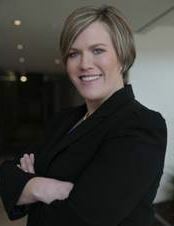 She is responsible for leading teams developing compelling narratives and leadership platforms, issues and reputation management strategies, patient and advocacy relations programming and traditional and digital media strategies.